Lernert & Sander (http://lernertandsander NULL.com/) approached me to help them with the typography and design of the flyer they were making for the third edition of the Madness & Arts Festival. They had come up with a house style using the Rorschach test as a starting point. For the flyer I used their imagery and combined it with clear typography – playing with the (invisible) fold in the middle. The flyer was printed in such a way that it seemed as if the paper was so thin that the layer on the other side (front/back) was bleeding through. 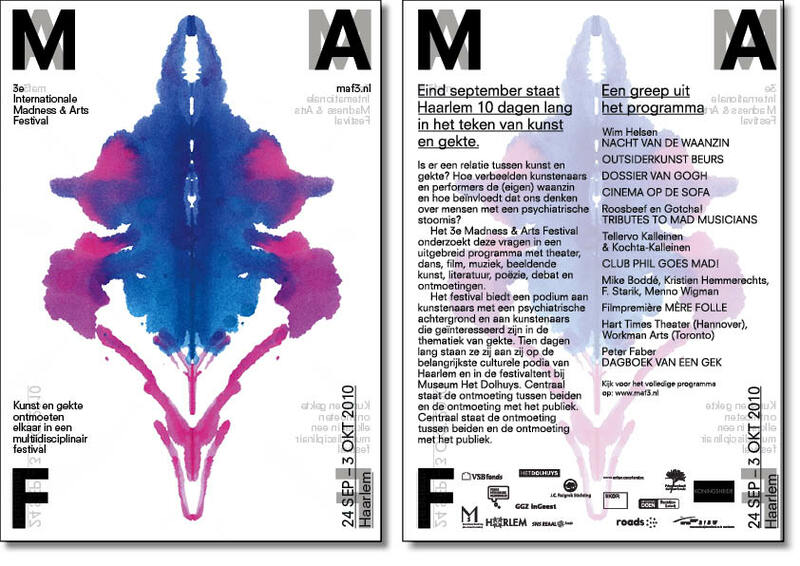 Flyer, front and back, September 2010.